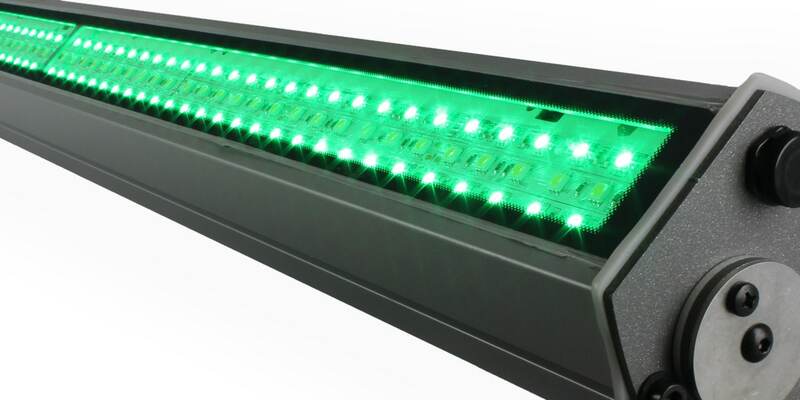 The Chameleon RGBW™ LED Bar Series is available in 140w, 100w or 30w. There are also multiple length options of 60cm, 90cm, 120cm and 150cm. 4, 5, 6 or 9 channel DMX including a dedicated DMX channel for white balance. 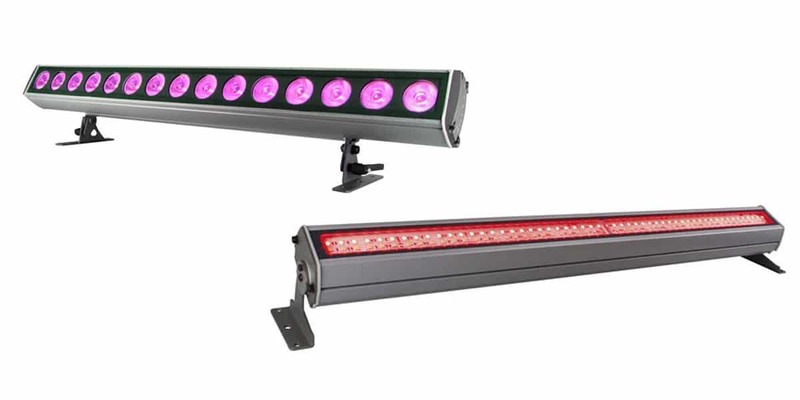 Intelligent temperature control, flicker free function & smooth dimming function are just a few features that make the chameleon RGBW™ LED Bar stand out from other RGBW units. The 140W and 100W models come standard with 25° beam angles (45mm lenses) and the 30W modle comes standard with 120° beam angle. Alternative beam angles (Narrow, wide and elliptic) also available on request. The Chameleon RGBW LED Bar Series features a 160° tilt bracket for flexible mounting on surfaces. The IP67 rating makes this luminaire suitable for all weather conditions, with high protection against water and dust. High protection against dust and water with the IP67 housing. Intelligent temperature control constantly monitors and manages luminaire temperature to ensure no overheating occurs. Control the RGB colors through a DMX wired controller or wireless control panel.